BrainPOP Jr. is BrainPOP’s K-3 resource, offering age-appropriate animated movies, interactive quizzes, learning games, and a breadth of other educational activities. Designed to cultivate critical thinking skills and encourage children to ask questions, it covers topics within Science, Social Studies, Reading & Writing, Health, Math, and Arts & Technology. Features like Word Wall (vocabulary), Talk About It (discussion prompts), Write About It (writing prompts), and Draw About It (drawing prompts) support each cross-curricular topic and provide options for children with a range of learning styles. 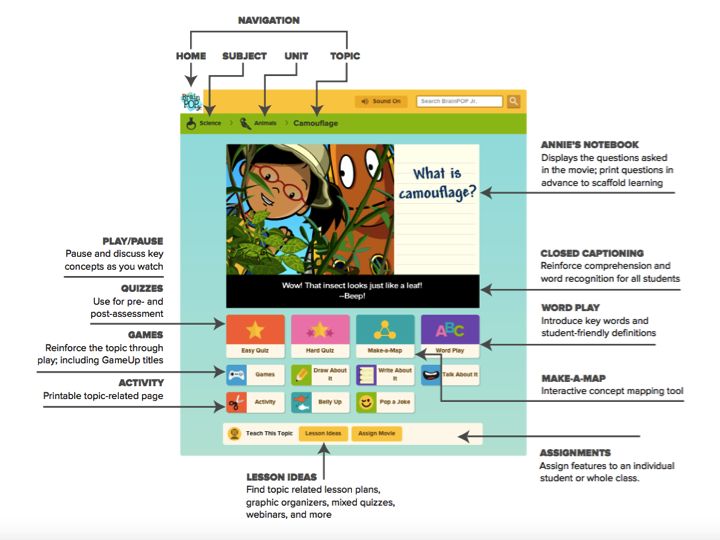 BrainPOP Jr. employs simple navigation so early learners can explore on their own. 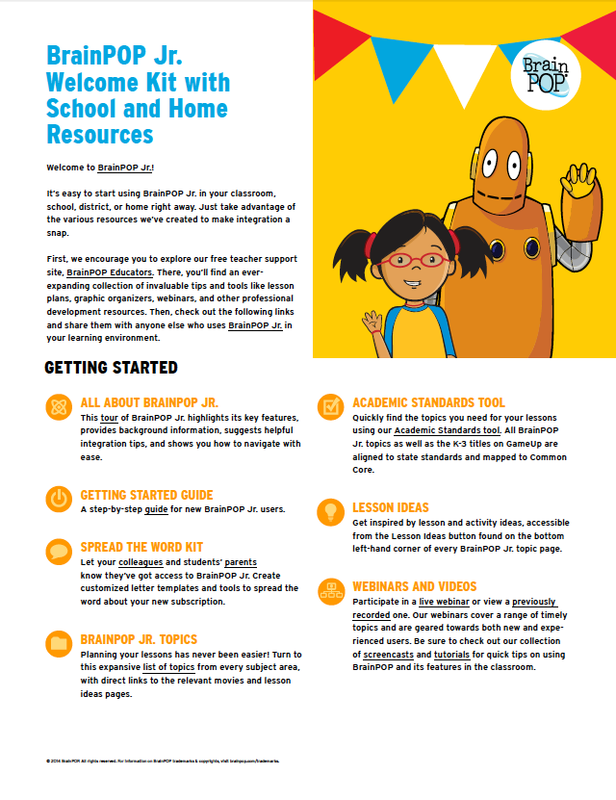 Learn more below: view the materials we've put together to help you get to know BrainPOP Jr. and its features.